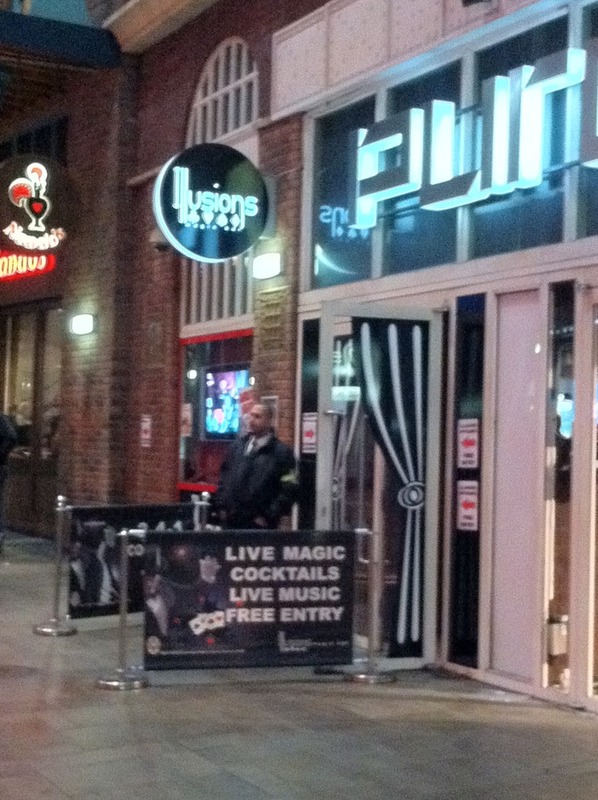 Had a great night tonight with my first visit to Illusions Bar in Manchester with Vicky, Jo and Kate. I first saw the portable bar at the Session convention last year but it was great to see the concept in it’s natural home along side a working bar that any member of the public could walk into and get to see some magic. 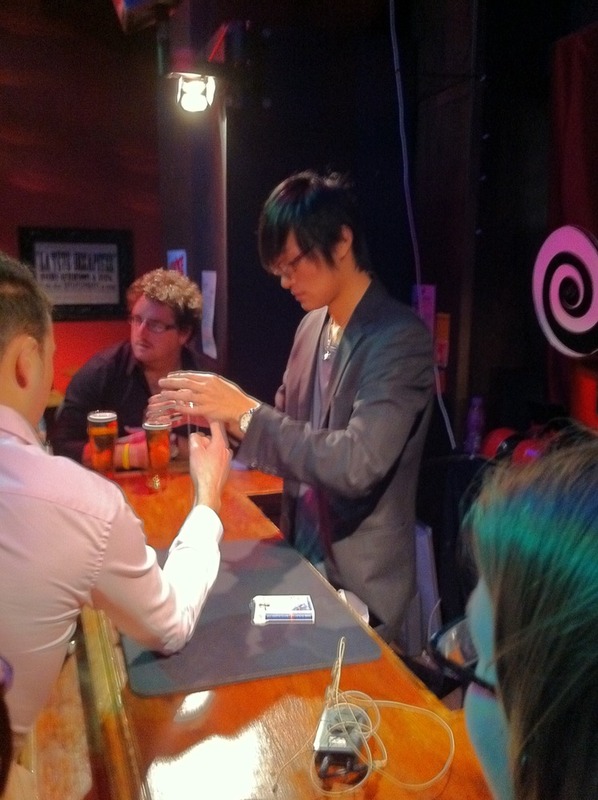 We saw three magicians, Frank a Chinese Magician was great, very skilful, we also saw Nemed Phoenix and Kris Naylor who were both excellent. Great to see magic in the wild, you have to cope with all sorts the drunks and tonight a hen party of cheerleaders! But I think the bar format really works and having it separate from the main bar area gives it a bit more space, and people seemed to be really enjoying it, so a great night all in all and the first visit of many I think.